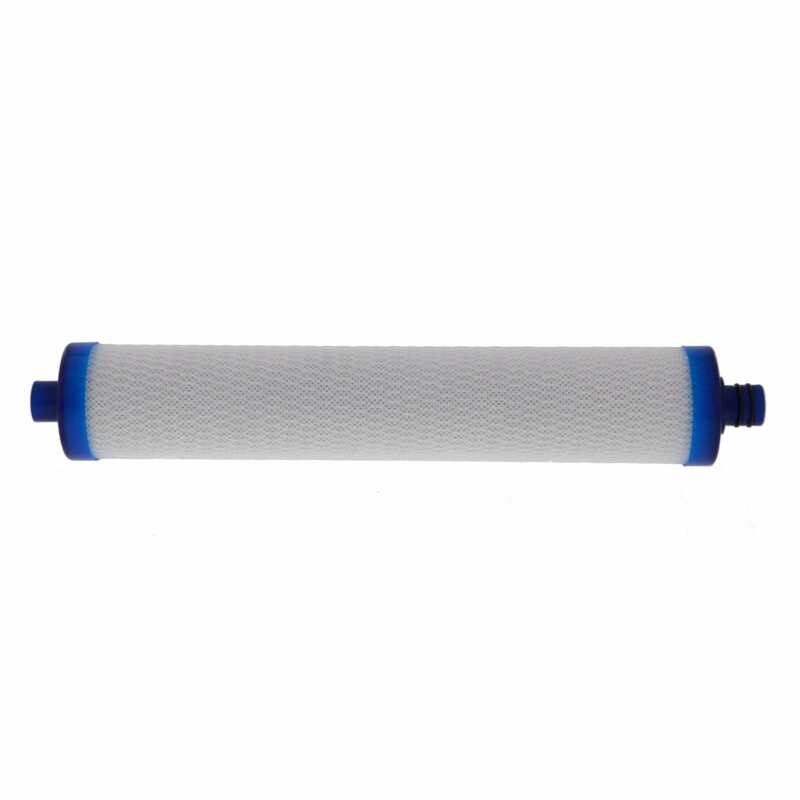 The Hydrotech 41400009 water filter is a 10 micron carbon filter. The Hydrotech 41400009 has blue end caps. The Hydrotech 41400009 is most commonly used in Hydrotech 4 Vessel RO Systems and 3 Vessel RO systems with CTA membranes. Alternate Part Number: Hydrotech S-FS-19, Hydrotech SFS19, Hydrotech SFS-19. Replaces Part 41400075. The Hydrotech Pre and Post Carbon Filter fits all Hydrotech HT and HTF, 101 Series, 102 Series and 103 Series reverse osmosis systems. The Hydrotech 41400009 Carbon Filter fits Hydrotech Reverse Osmosis system models 4VTFC50G, 4VTFC50G-PB, 4VTFC50G-FM, and other systems. The Hydrotech 4 stage reverse osmosis systems use this filter in the 2nd and 4th stages. Hydrotech 3 stage systems with CTA membranes use the 4140009 water filter only as the post filter (3rd stage). Hydrotech 3 stage systems with TFC membranes require the 41400009 carbon filter as both the pre and post carbon filter (1st and 2nd stages). The Hydrotech 41400009 replaces the AES 41400075 filter.